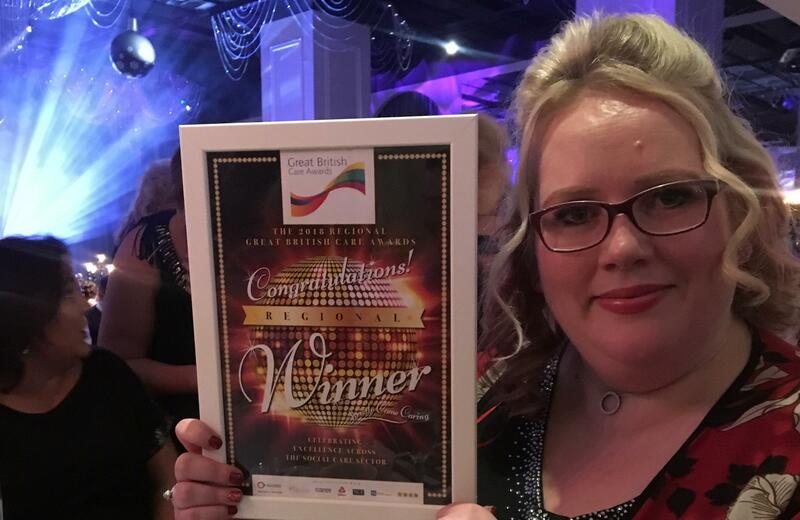 Southport local, Charlotte Baines, a deputy care manager at Home Instead Senior Care, is honoured to be a finalist in the coveted Putting People First / Personalisation Award at the national finals of this year’s Great British Care Awards. Charlotte, 42, who has been with Home Instead since 2010, was announced a winner at the regional award ceremony which was held this past weekend at The Mercure Hotel, Manchester. Winners of the Great North West Care Awards will go through to the final at Birmingham’s ICC on 8th March 2019. The glittering event in March will celebrate excellence across the social care sector and pay tribute to individuals who have excelled in their work. Charlotte is thrilled to have reached the national finals of the Great British Care Awards, which are presented each year to individuals who consistently provide a high quality standard of care.